Orthopedic injectables, also known as viscosupplements, hyaluronate injections, or chicken shots, are injectable gels made of hyaluronic acid or a similar substance. This may be naturally-sourced from chickens or created from bacterial fermentation in the laboratory, and the gel may also contain an anesthetic for pain relief. These gels are similar in viscosity to synovial fluid naturally found in joints. In an aging or injured joint, the quality of this natural synovial fluid may degrade, and the cartilage may begin wearing down, causing friction in the joint. This results in pain, inflammation, and reduced mobility. Orthopedic injectables help by lubricating the affected joint and supplementing the synovial fluid to provide a cushioning effect. This reduces friction with movement, allowing the patient to use their joint with reduced pain. Doctors administer these injectables in their office or clinic. Why do doctors use them? Doctors may use orthopedic injectables to treat symptoms of osteoarthritis, such as pain and stiffness in the joints. The injections may help supplement or replace other osteoarthritis treatments, such as pain drugs, cortisone injections, and exercise, and the shots may also help delay the need for knee-replacement surgery. Patients usually choose orthopedic injectables to help relieve knee pain, but the injections may also be suitable for other synovial joints. This may include the hips, shoulders, ankles, or with lower volume injections, the finger, toe, and wrist joints. How frequently should you use orthopedic injectables? The number of orthopedic injections per treatment varies from product to product. Some treatments involve a single injection, some involve three weekly injections, and some involve up to five weekly injections. 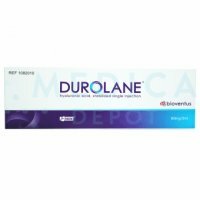 After this initial series of treatments, results usually last about six months, although Crespine Gel Plus results may last up to eight months. How do doctors use them? To administer these intra-articular injections, doctors first ensure the patient is positioned lying down with their knee straight or bent at a 20 to 30 degree angle. Once the knee or other joint is disinfected with alcohol or iodine, the doctor or nurse may apply an ultrasound to help find the correct placement, or the doctor may choose not to use the visual assistance of an ultrasound. After administering a local anesthetic if desired, and removing excess fluid if necessary, the doctor will inject the viscosupplement in the joint, just below the kneecap. The doctor may then request the patient flex their joint a few times to help evenly distribute the gel. An orthopedic injection is a relatively-quick, in-office procedure. After preparation, the procedure itself may take as few as five minutes to complete. These gels are made of sodium hyaluronate or similar substances which help lubricate and cushion the knee joint. These doctor-administered injections provide anti-inflammatory benefits, reducing joint inflammation and pain. Oral pain relief and anti-inflammatory drugs can help control joint pain. Low-impact exercise may help improve movement and reduce pain without putting extra strain on the affected joint. Cold packs can help temporarily reduce inflammation and swelling while heat application can help temporarily relax muscles and improve circulation. A brace may help take the load off an affected joint, a cane may help reduce excess stress on the joint, and orthotics in the shoes can help support the foot to reduce knee pressure. Surgeries include a partial or total joint replacement, where the damaged cartilage is replaced with a prosthesis. With early intervention, surgery may help repair cartilage, meniscus, and bone. Avoiding high-impact sports, reducing excessive bending, and not lifting heavy objects can help reduce pressure on the affected joint. Other drugs and supplements may also help ease osteoarthritis symptoms. 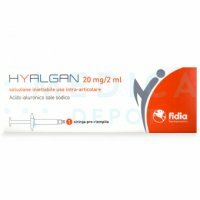 This viscosupplement from Fidia Pharma is an injectable gel made of high molecular weight hyaluronate, naturally-sourced from rooster combs. The treatment involves between three and five weekly injections, depending on your patient's needs. 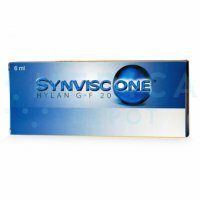 The Synvisc and Synvisc One viscosupplements from Genzyme are injectable gels made of cross-linked hylans, which are derivatives of hyaluronan, naturally-sourced from rooster combs. The treatment involves three weekly injections for Synvisc and one injection for Synvisc One. This viscosupplement from Seikagaku Corporation, also known as Artzal in some regions, is an injectable gel made of highly-purified hyaluronan, naturally-sourced from rooster combs. The treatment is customizable, with three to five weekly injections, depending on your patient's needs. Gel-One, also from Sikagaku Corporation, uses a single, low-volume injection of avian-sourced hyaluronan. This viscosupplement from Anika Therapeutics is an injectable gel made of sodium hyaluronate, sourced from bacterial fermentation. The advantage of this fermented sodium hyaluronate is that it is safe for those with avian allergies. The Orthovisc treatment involves three weekly injections, but there is also a single-injection version called Monovisc. 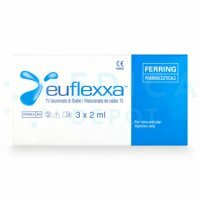 This viscosupplement from Ferring is an injectable gel made of high molecular weight sodium hyaluronate, sourced from bacterial fermentation. The advantage of this fermented sodium hyaluronate is that it is safe for patients who have avian allergies. The treatment involves three weekly injections. This viscosupplement from BioPolymer is an injectable gel made of a mixture of regular and cross-linked hyaluronic acid, sourced from bacterial fermentation. The advantage of this fermented hyaluronic acid is that it is safe for patients with avian allergies. 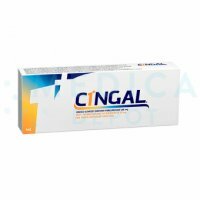 This particular viscosupplement also contains Prilocaine, which is an anesthetic that provides pain relief during treatment. The treatment involves a single injection. This viscosupplement from Galderma is an injectable gel made of stabilized hyaluronic acid, sourced from bacterial fermentation. The advantage of this fermented hyaluronic acid is that it is safe for those allergic to avian products. The treatment involves a single injection. Viscosupplements can improve osteoarthritis symptoms, helping seniors and those with an injury regain their mobility, but the cost can be prohibitive for patients on a fixed income or tight budget. 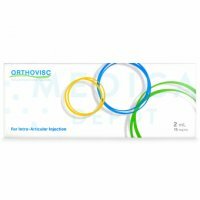 Buy orthopedic injectables from Medica Depot to help more patients afford their osteoarthritis treatments, with convenient ordering online or by phone, fax, or email.